BAGPAT (UTTAR PRADESH): India's first smart and green highway -- Eastern Peripheral Expressway -- for decongesting Delhi will be completed in August this year, Union Minister Nitin Gadkari said today. Prime Minister Narendra Modi will dedicate to the nation the 135-km, the nearly Rs 11,000 crore access-controlled six-lane expressway. The project is replete with smart and intelligent highway traffic management system (HTMS) and video incident detection system (VIDS) besides a closed tolling system in which the collections will be made only on the distance travelled and not on the entire length. "The project, most likely, will be completed in August this year. We have spent a huge Rs 5,900 crore on land acquisition. Once complete, This will reduce traffic congestion in Delhi and will have the best automatic traffic management system, landscaping, besides wayside amenities. 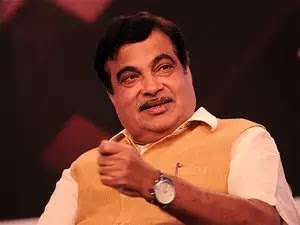 We're planting at least 2.5 lakh trees and the expressway will be lit by solar panels," Road Transport and Highways Minister Gadkari said here. The Eastern Peripheral Expressway will set a benchmark in highway construction by being environment-friendly with world-class safety features and smart/interactive infrastructure, the minister said. The project, which commenced on September 14, 2015 will consume a million tonnes of flyash from NTPC's various thermal plants to utilise waste and minimise pollution. The greenfield project, which hit several hurdles and saw laying of its foundation by Prime Minster Narendra Modi on 5 November, 2015, will divert around 2 lakh vehicles passing through the national capital daily to this bypass, cutting out pollution. Gadkari, who inspected the project sites in Delhi, Uttar Pradesh and Haryana, said the toll plazas will be equipped with the faster Electronic Toll Collection (ETC) system offering an uninterrupted travel experience to users. "The Expressway will be equipped with HTMS which will include Variable Message Signs (VMS), CCTV, VIDS, Warning Devices, Overspeed Checking System, Weigh-in-Motion, Pavement Management Systems and Fibre Optic Network. All information collected from HTMS equipment will be relayed to a central server in control room which will, on the basis of input, trigger alarms and change VMS messages etc. This will result in real-time incident management," he said. Along the expressway, wayside amenities like petrol pumps, motels, rest areas, restaurants, shops, repair services etc will be developed, he said. Landscaping will be done at all the interchanges, major bridges and toll plazas with provision of fountains and lighting and a total of about 2.5 lakh trees of various species will be planted as green belt within row of the Project Expressway, he added. Unique features of the project will be rainwater harvesting at every 500 metres on either side of the Expressway and the watering of the plants will be done through drip irrigation, he said. In keeping with the Prime Minister's Swachh Bharat Mission, provision of toilets will be made at regular intervals along the expressway on either side at a distance of 25 km, he added. The expressway passes through Sonipat, Bagpat, Ghaziabad, Gautam Budh Nagar, Faridabad and Palwal in Haryana and Uttar Pradesh, and the proposed alignment crosses river Yamuna at Khurrampur/Khata in UP and Faizpur Khadar in Haryana and crosses the river Hindon. The project will consume 10.2 lakh tonne cement, about one lakh tonne steel, 19 lakh tonnes of sand and 50 lakh tonnes aggregates. Manpower employed is 7,275. The Supreme Court has directed police chiefs of Uttar Pradesh and Haryana to provide adequate security for expeditious completion of the project. The project work has been divided into six packages and are being carried out by Sadbhav Engineering, Jai Prakash Associates, Ashoka Buildcon, Oriential Structural Engineers and Gayatri Project and barring package III, the physical progress of the packages was between 57 and 61 per cent. Package III, being built by the debt-laden construction and cement firm Jaiprakash Associates, made only 36 per cent progress. There are about 400 structures in this project out of which two major bridges are on river Yamuna and one major bridge on river Hindon and Agra Canal. There are 8 interchanges, 4 flyovers, 71 vehicle underpasses, 6 RoBs etc. "Eastern Peripheral Highway is just the beginning. We will make 12 such express highways. Three of such highways will be started in 2017 itself," Gadkari said.